For any web site, performance is everything. With so many competing businesses in the online marketplace, long loading times give your visitors more time to click away to a competitor’s web site. 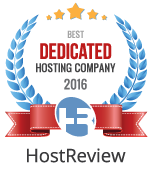 How can you unlock the full potential of your web hosting service to deliver content at lightning-fast speeds? Included with every GlowHost hosting plan, Cloudflare uses a content delivery network (CDN) to make the performance of your web presence more dependable and up to 20 times faster. But this is just one part of the impressive Cloudflare solution. All you need to do to take advantage of the Cloudflare solution from GlowHost is set it up in your control panel. No need to register an account with Cloudflare directly and no need to change any DNS settings, our intuitive control panel will handle this all for you within a few clicks. When a visitor accesses your web site and requests a certain piece of data such as a web page or image, this file travels a very large distance. If your web hosting service is located in the USA, content is routed through multiple servers before finally reaching your web site’s visitor. The further the server is from your visitor, the longer this process takes. Cloudflare offers a content delivery network (CDN) made up of 14 data centers strategically located around the world. Your static content is all cached on these local servers, making it available to your visitors at faster speeds. GlowHost is a Cloudflare Optimized Partner which means all of our servers are connected to the Railgun. Railgun ensures that the connection between your origin server and the Cloudflare network is as fast as possible. Railgun achieves a 99.6% compression ratio for previously uncachable web objects by using techniques similar to those used in the compression of high-quality video. This results in an average 200% additional performance increase. In addition to improving the speed at which your static web site content loads, Cloudflare comes complete with powerful security features that keep your data protected. Cloudflare even builds up an image of a user who passes through the CDN, identifying potential threats and eliminating them before they even reach your web site. Along with all these features that are ready to use from the moment your web hosting plan is deployed, you can expand your web site using Cloudflare apps. From the Cloudflare apps marketplace, you can add advertisements to your site to earn commission, integrate language translation, analyze data with Google Webmaster Tools and Google Analytics, and allow customers to search your site. Best of all, Cloudflare makes it possible to install these apps with just a few clicks and no hands-on code editing. Why spend hours adding all of this functionality when you can get it up and running right now? At GlowHost, we are committed to keeping our customers online, all the time. We know the damage that unreliable or unavailable web hosting services can cause and that’s why we provide Cloudflare free of charge on every single web hosting plan. With Cloudflare working alongside our network infrastructure and expert configuration, GlowHost offers a 100% network uptime guarantee on all web hosting services. We also support Cloudflare apps and optimization tools, helping to ensure that your customers always get the experience they deserve.